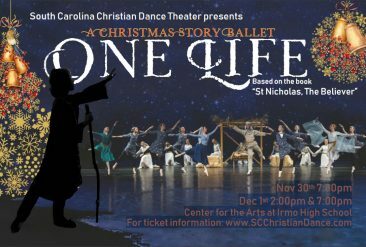 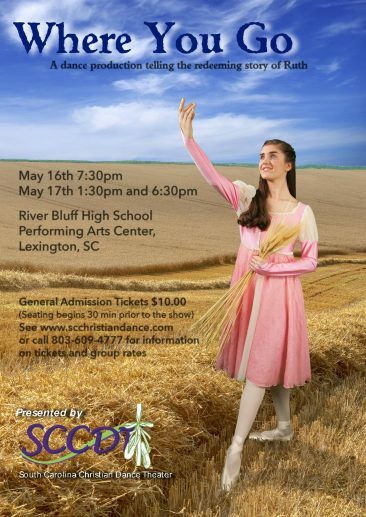 Dance Radiance is an outreach division of SC Christian Dance Theater and is ideal for serious dancers. 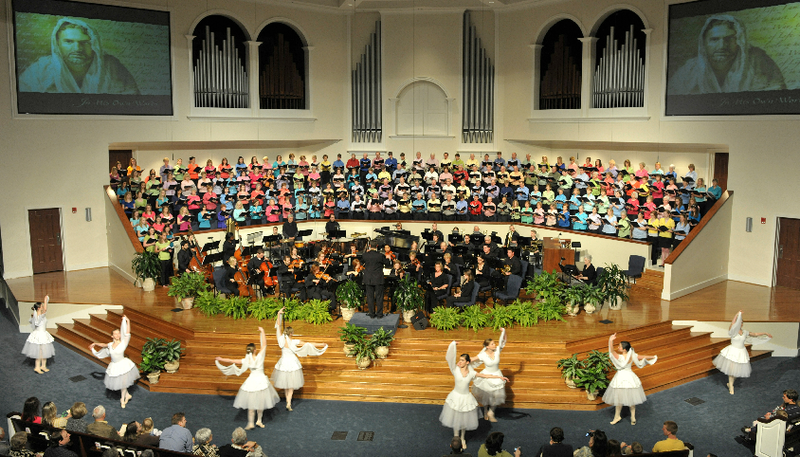 The dedicated members the Company are trained to minister in dance and testimony. 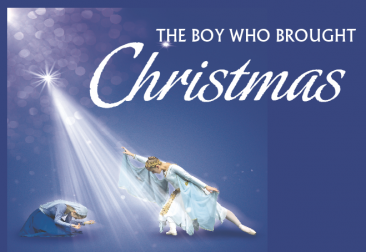 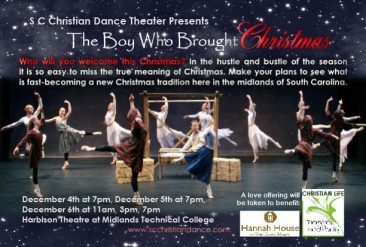 Company dancers perform and minister in SCCDT’s Christmas productions, the end of the year productions, local community festivals and events, local churches, schools and nursing homes. 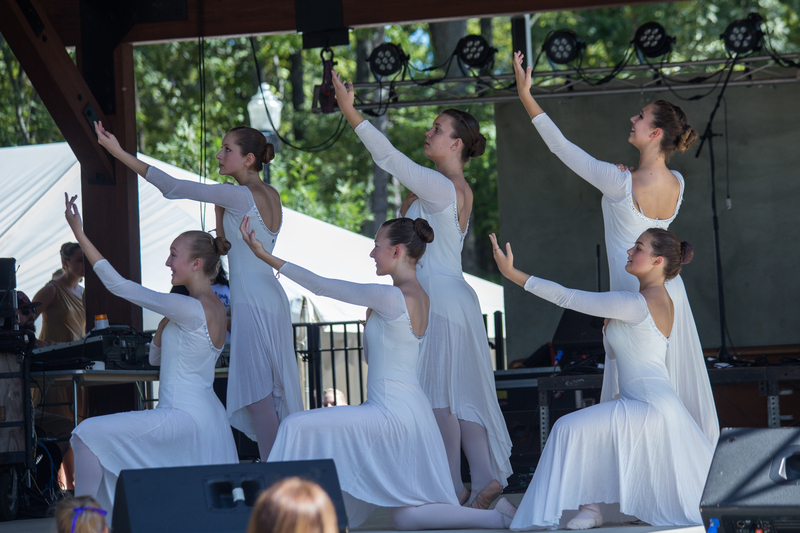 Dance Radiance is comprised primarily of classical ballet training with more experience in other forms of dance such as tap, jazz and modern as they mature. 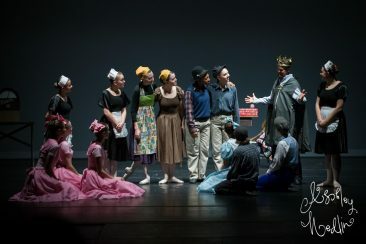 Being a member of “the company” allows the dancer to form long-lasting friendships and to be part of a community of serious dancers with commitment to excellence. 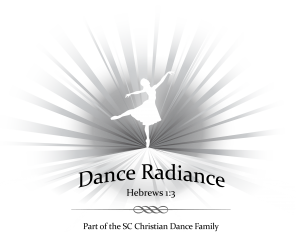 Everyone who is in the dance radiance company, must audition each year to continue within the company. The dance season begins in August and ends in July. 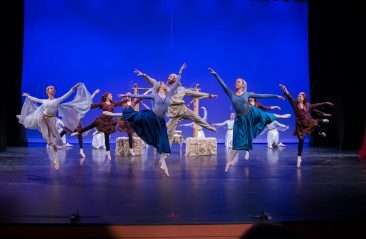 Dancers make a one year commitment to participate in all dance radiance events and rehearsals when they join the company. 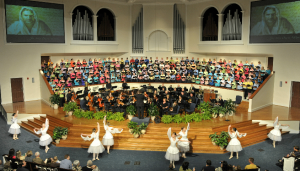 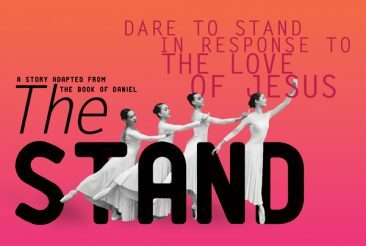 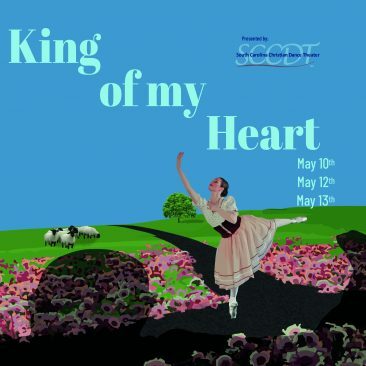 Placement in the company is based on dance technique, length of study in dance, performance quality, and an outward demonstration of the dancer’s desire to dance with integrity and purpose for our Lord and Savior Jesus Christ. 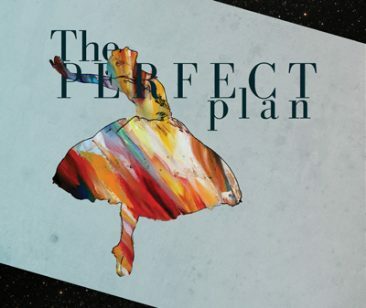 Dancers are asked to submit an essay at the audition to express their thoughts on their motivations to dance.